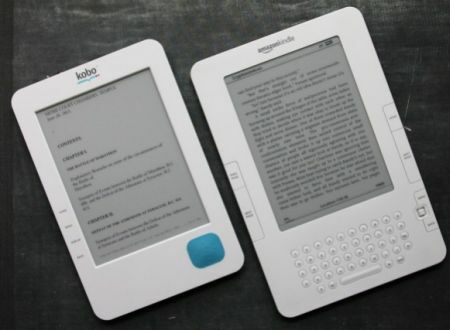 eReaders vs Tablets - Who Wins the Market Share? Digital Mom Blog > Technology & Web > Gadgets > iPad > eReaders vs Tablets – Who Wins the Market Share? What’s that magic eReader number? With Amazon’s Kindle (ad-sponsored) eReader priced at $114 – that magic number is approaching quickly. Another argument is the task in which you use your tablet vs your eReader. For the avid reader, the eReader product stand alone offers a much more focused experience for enjoying a book. With the surge in eBooks sales and Amazon now selling more eBooks than physical books, I can see this trend continuing. That being said, with the multiple benefits that come from owning an iPad (including the Ipad entertaining kids) – that device isn’t going anywhere! Do You Own an Apple iPad, table or an eReader device? I do love my books. The feeling and holding of them just has a nostalgia to them, but then again, I am a note taker. The iPad experience for marking and sharing is fabulous as I read. Terrific work, please keep writing it was a pleasure to read. I am going to tweet this now.